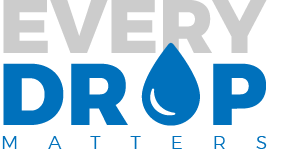 Every Drop Matters is changing the world by distributing the most advanced water purification technology to people who desparately need clean water all over the world. "It's AMAZING. Someone can purify 5 gallons of water in 20 minutes. It's incredible, it's game-changing." We're a passionate organization who believes in changing the world through smart, sustainable, world-class technology. We have access to some of the most impressive, and most portable water purification technology ever created. With over 10 years of R&D and 70 issued Patents we believe this technology can solve the clean water problem all across the world. We work directly with missionaries and other people who have personal contact with populations in need of clean water. We train those going abroad in how to use water purification units, and then provide units for them to give to needy persons as they see fit. We only ask that those who find that they don’t need the technology or don’t end up using it return the units to us so that we can redeploy them and make the most efficient use out of every dollar donated. Join the mission! Get involved with us and help change the world through incredible water purification technology.